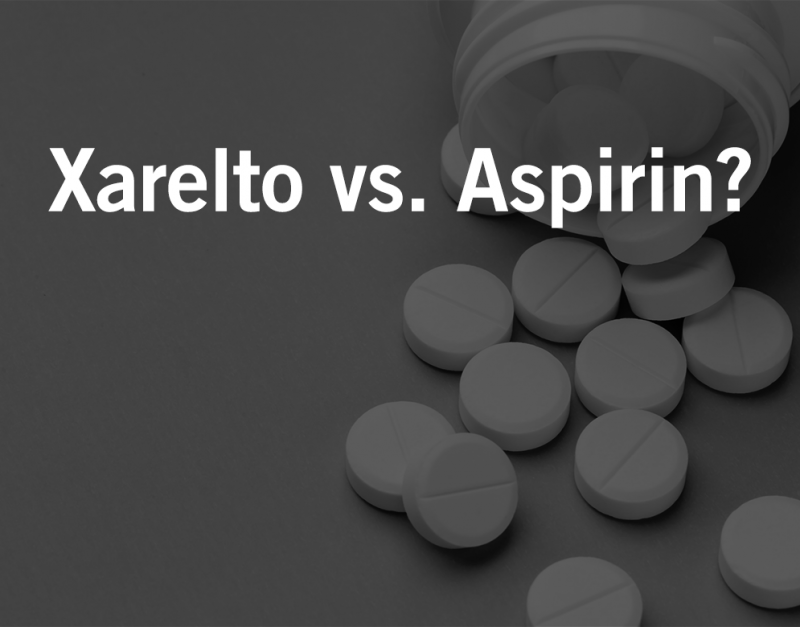 According to a study, prescription Xarelto® shows no superiority compared to over-the-counter aspirin. Bayer and Johnson & Johnson’s Janssen Research & Development have acknowledged that their Xarelto® (rivaroxaban) has failed a Phase III trial assessing the anticoagulant in patients with a recent embolic stroke of undetermined source (ESUS). In comparison with aspirin, Xarelto® was not able to exceed the efficacy of the drugstore medicine in reducing the risk of stroke and systemic embolism. In the study, 7214 patients from 459 sites across 31 countries were randomly given either 15 mg of rivaroxaban once daily or 100 mg of aspirin. According to Genetic Engineering & Biotechnology News, Joerg Moeller, M.D., a member of the executive committee of Bayer’s Pharmaceutical Division, patients will be contacted by their physician to switch Xarelto® to aspirin–and that clinical development of Xarelto® will continue. What is the Xarelto®/Stroke Connection? Embolic strokes are those caused by a blood clot or plaque debris that develops elsewhere in the body and then travels to one of the blood vessels in the brain and through the bloodstream. Anticoagulants are medicines that reduce blood clotting in an artery, vein or the heart. For nonvalvular atrial fibrillation (NVAF) patients, to minimize the risk for stroke. While new drugs such as Xarelto® do have oversight by the U.S. Food and Drug Administration (FDA), it is not always enough to prevent life-threatening drug injuries and illness. The risk of unstoppable, possibly fatal, bleeding is Xarelto’s most dangerous side effect. The threat of injury is even higher when Xarelto® is consumed with other drugs, such as aspirin. Patients who undergo knee or hip replacement surgery sometimes receive Xarelto® to reduce the risk of deep vein thrombosis and pulmonary embolism. But a number of studies indicate that patients were given other treatments, like compression stockings and aspirin, actually have fewer wound complications than those treated with Xarelto®. Post-surgical complications with Xarelto® include rupture, infection, and hematoma. Revision surgery is sometimes needed to correct Xarelto®-related wound complications. Patients taking Xarelto® may be at risk of developing a blood clot around the spinal cord or in the brain when undergoing a spinal tap or receiving an epidural anesthetic. Such blood clots may cause stroke, paralysis, and other injuries. Before discontinuing medications or beginning a new medication regimen, it is important that you speak with your personal physician. Doing so will aid you in identifying the best treatment options for your specific needs. If you or a loved one have been injured by a prescription drug that you have taken, we can help you hold the pharmaceutical companies responsible. The Xarelto® attorneys at Waters Kraus & Paul understand the issues at hand, the companies involved, and we have successfully tried a range of product liability cases across the country. At Waters Kraus & Paul we have seen first-hand the heartbreak and financial challenges of families facing catastrophic prescription drug injury. With a national presence and a wealth of experience, our firm has the resources to champion your case in any court in the country. To have one of our Xarelto® attorneys review your potential drug injury case and file a claim, email us or call 800.226.9880.